When Mascot Homes, Incorporated was looking for a new and better way to promote its modular homes, the company called on Go To Team. 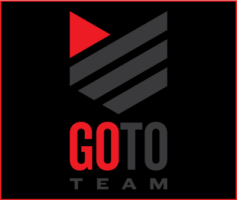 Go To Team delivered, by creating and producing two 30 second commercials that are currently airing across South Carolina. GTT Producer Thomas Hughes wrote the scripts, and GTT spent one day shooting the spots at a modular home in Johns Island, South Carolina. Long-time Columbia, SC television personality Joe Pinner was the talent. After the commercials were shot, GTT edited the spots in-house, using its complete non-linear editing system. “With our system, you have infinite control. You can color-correct footage and produce a high quality piece of material,” says Hughes. “The client wanted the commercials turned around quickly. We edited the spots and they were ready a week later.” Go To Team made at least a dozen beta dubs and distributed the commericals to the directly to South Carolina television stations. For More Information on Mascot Homes contact Mascot Homes Sales Center at (803) 794-4725.